A Los Angeles freeway gridlocked with traffic is the beginning image for Damien Chazelle’s film “La La Land”. With the camera sweeping through and around the rows of vehicles, the commuting masses jump out of their vehicles and break into song and dance to a carefree, California personified tune called “Another Day in the Sun”. It isn’t until after the melodic spectacle that the film focuses on the characters that the viewer will follow for the remainder of the film. It’s a perfect introduction to a film as much influenced by musicals of the past and classic love stories as it is about the trials of being ambitious and being in love and the difficult choices that occupy each. It’s a whimsical, melancholy musical jaunt filled with delicate emotion and beautiful structure. 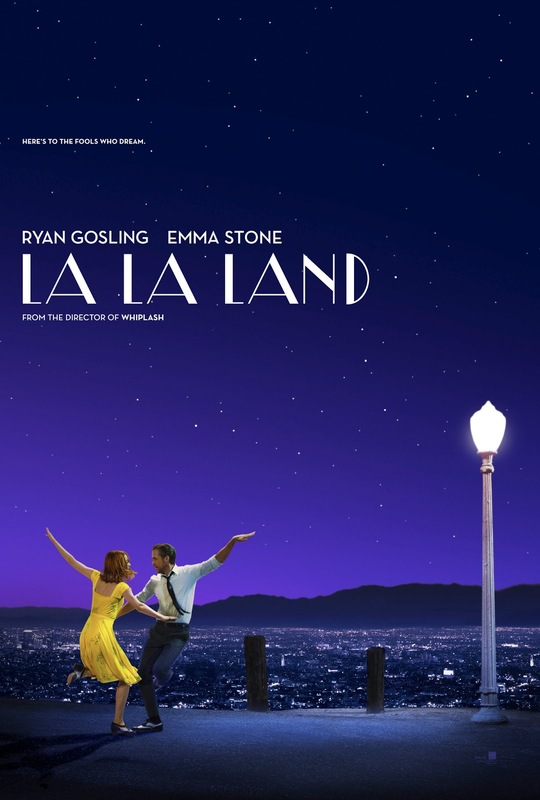 Damien Chazelle has invigorated this musical and crafted a film that is simply intoxicating. Mia (Emma Stone) is a struggling actress working as a barista on the Warner Bros. backlot. Everything in her world is focused on getting that audition that will change her life. Sebastian (Ryan Gosling) is a struggling musician, a jazz pianist forced to play Christmas tunes in a restaurant and 80’s pop songs in a cover band though his true ambition of keeping the vanishing life of jazz music alive can be easily seen through his many concert posters and a stool that belonged to Hoagy Carmicheal. The paths of these two ambitious artists cross early and over the course of four distinguished seasons they experience a life-changing relationship that forces them to answer questions about their future as two people in love and two artists pursuing their dreams. Who doesn’t like a good musical? 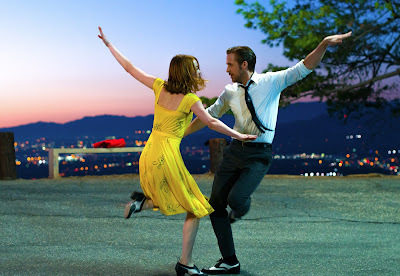 I’m sure a lot of people don’t but “La La Land” is a different kind of musical, one that doesn’t boast polished vocal performers but rather utilizes two strong actors to connect romantic emotions and then having them genuinely move through song and dance numbers. The musical moments are secondary, though a very strong secondary component, that accommodates the story of the two characters. With that said, the music is exceptional. A blend of dreamy ballads, personal melodies, and cheerful choruses; the music is it’s own character in the film, offering an identity to the world of the two heartfelt lovers. “City of Stars” is the piano-tinged song that becomes the definition of the story, a somber piece that displays at different moments touches of hope, despair, success, failure, confidence, and insecurity. 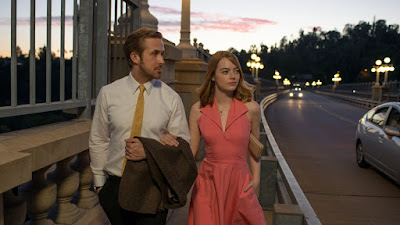 It’s a perfect piece of music for the film from composer Justin Hurwitz. The performances are impressive. 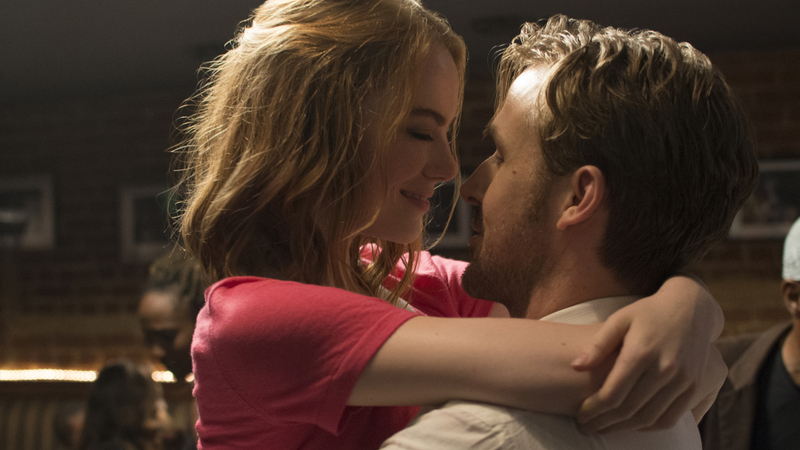 Emma Stone is particularly great, adding moments that show the uncertainty of putting yourself in the spotlight. In one particular scene her character is asked during an audition to read a dramatic scene, the progression of emotions during this section is superb. Ryan Gosling is also great, giving a passionate performance that allows Mr. Gosling opportunity to mold the character naturally. Watching his reaction during a small moment where he is lost in a sea of emotions is outstanding. The film builds towards an interesting point, one that would be easily wrapped up in a nice bow if it weren’t for the confident hand of director Damien Chazelle who instead challenges the viewer and the characters in the film to look beyond the happy-go-lucky moments and the cheery musical movements and identify with the characters, their aspirations and their love for each other. “La La Land” is a film about the past and the future and how the decisions people make in the moment define their connection with both. It’s one of the best musicals of recent memory and one of the best movies of the year.